The Pentagon's reliance on China is a major topic discussed in a new report about the overall status of the defense industrial base that President Trump is scheduled to release. Some other areas include "accelerating workforce development efforts to grow domestic science, technology, engineering, mathematics, and critical trade skills," said Defense One. "This assessment recognizes the global nature of our supply chain and really addresses the need for strengthening alliances and partnerships so that we can jointly address industrial base risk," Ellon Lord, undersecretary for acquisition and sustainment, said Thursday evening during a press briefing at the Pentagon. "We already have existing industrial-base mitigation tools," said Eric Chewning, the deputy assistant defense secretary for industrial policy, said during the briefing. "There's already money available to address some of these challenges." China is a major focal point in the report, mentioned more than 200 times, it seems US government agencies are rushing to halt weapon parts from the country. Some of the report's findings and recommendations on reworking supply chains are considered classified because they describe vulnerabilities in US supply chains. "I wouldn't think of this just as an additional ask for money," Chewning said. "We also need to be spending what we do more wisely. This isn't just an investment fix. There's legislative fixes, there's policy fixes, there's regulatory fixes. We need to be able to hit all of those levers." It is not that the Pentagon has not been investing in domestic manufacturing, he said. "Sometimes we’re just not spending money in the right way." Lord said the US defense industry supports roughly 2.4 million jobs and accounts for $865 billion "in annual industry output" and $143 billion in exports. She said the report's timing "is really excellent because it provides a site picture on industrial-base issues just as receive the  budget that really allows us to address many of those issues." 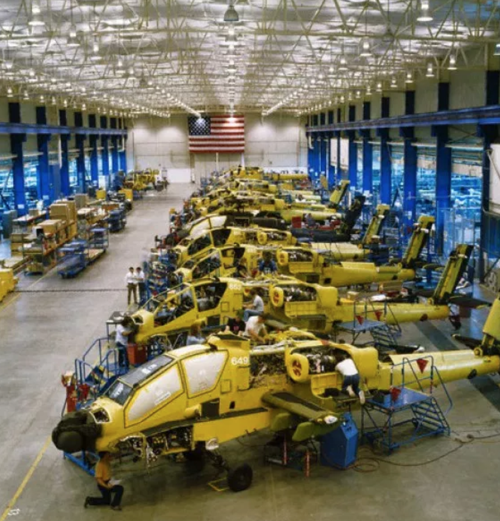 Hawk, Carlisle, president and CEO of the National Defense Industrial Association (NDIA), said the report indicates a "sobering picture" of the defense industrial base. NDIA was one of the trade groups that helped the Trump administration develop the report. "Reliance on single producers within the supply chain, dependence on unstable or unfriendly foreign suppliers for critical components, and misplaced presumption of continued preeminence of American military superiority are examples of findings that should be immediately addressed," Carlisle said in a statement. 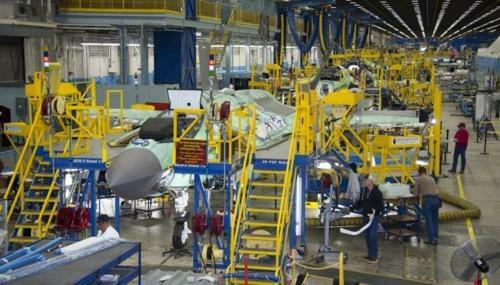 The Aerospace Industries Association, another trade group that participated in the review, said: "Ultimately, while it is essential that the Administration focus on addressing the specific challenges facing the industrial base, none of the advancements in acquisition policy, key capabilities or workforce will matter without adequate DOD budgets." Reworking the Pentagon's supply chains also come at a time when global openness has peaked, and the old economic order from a post World War II recovery to hyper-globalization has ended. As a result, supply chain disruptions tend to trigger a slowdown in global growth momentum. The Pentagon is not alone in the attempt of reworking their supply chains. Many multinationals are digesting President Trump's trade war that is causing much uncertainty and rewriting trade routes from country to country, due to tariffs.